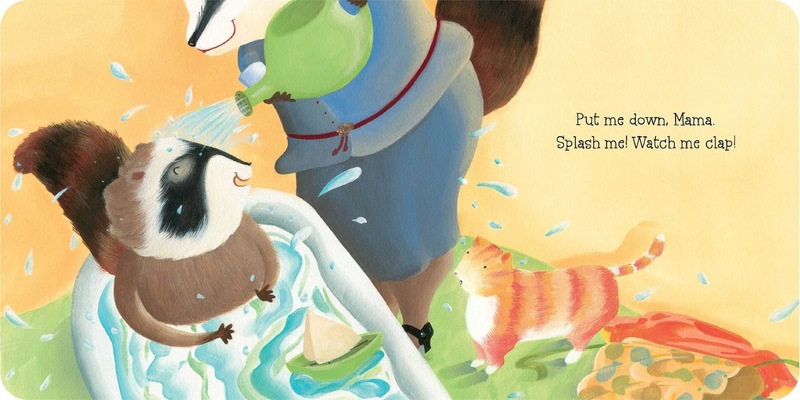 Holy sweetness, this is possibly the most charming, heart-warming, moving little board book I have ever seen! I absolutely adore it! 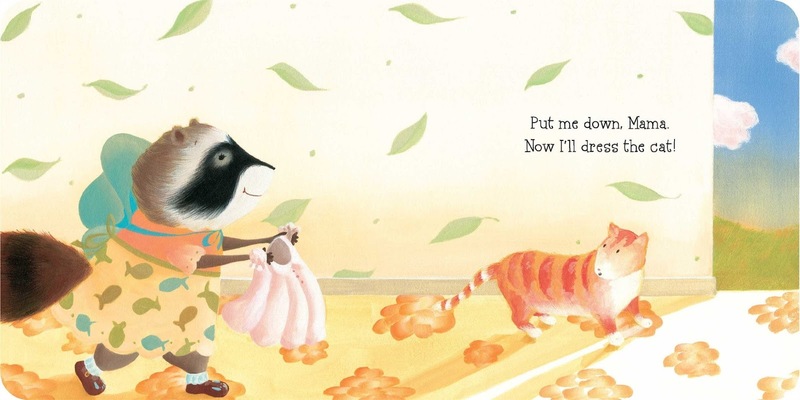 The gorgeous illustrations combined with the pull-at-your-heart-strings text create just the perfect little story. I am positive both the kiddos and the mommas will fall in love with this book. It's just adorable and truly beautiful. 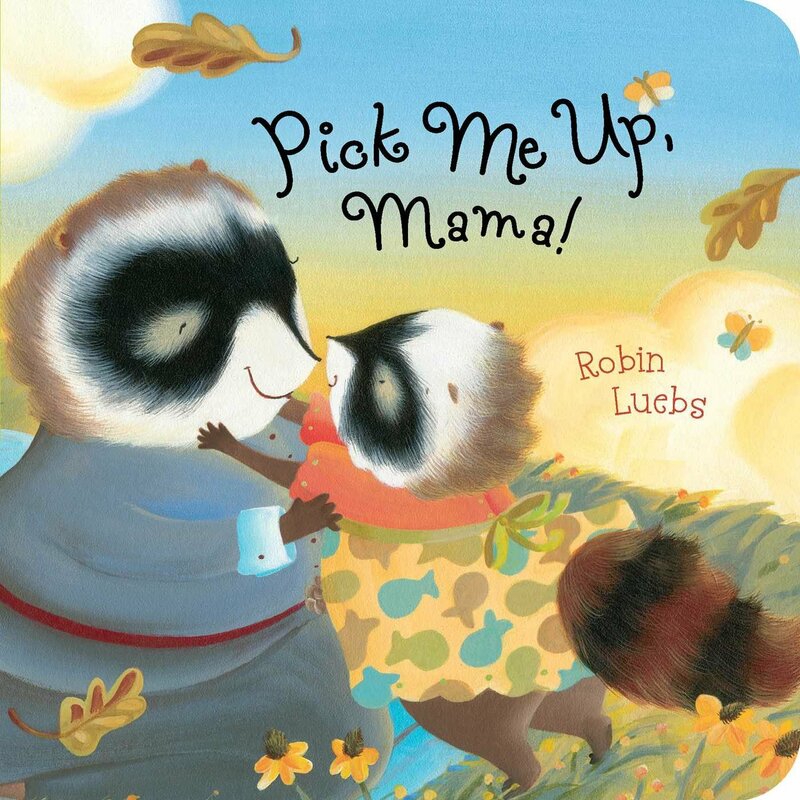 Pick Me Up, Mama! is written in rhyme and it's basically a sneak-peak at one happy family's day. Mother and daughter are interacting with each other, showing lots of love and affection for one another. The baby wants to be picked up and put down, she asks her mom to warm her little toes, kiss her perfect nose, brush her velvet head and have jam and bread. Through meals, cuddles, playtime and bedtime, we see how close these two are, how much mother raccoon loves her little baby, and how much baby raccoon needs her mother's love. It's too charming and beautiful a picture and you really can't help but tear up a little while seeing it. Being a proud and happy mom of a beautiful baby girl, I can totally relate to this book. It's a celebration of mother-daughter love and personally, I find it absolutely perfect. So glad to have it in our little board book collection! On a side note: This book is also available in hardcover!